Hats off to Southern Trout & Southern Saltwater Magazines! Thread: Hats off to Southern Trout & Southern Saltwater Magazines! Congrats to Don & Leah Kirk, publishers of Southern Trout & Southern Saltwater magazines! Both online magazines were named number 3 and number 10 respectively of the top ten fly fishing online mags! Don Kirk has been an editor, author, publisher and most importantly a proponent of fly fishing for decades and continues today with the latest technology in publishing. 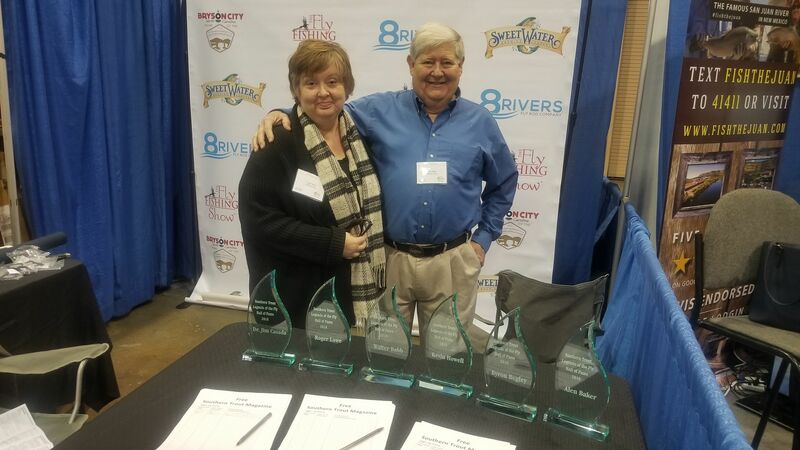 Congrats to them both and proud to call them friends and supporters of Great Smoky Mountain TU and sponsors of "Battle of Gatlinburg" Fly Fishing Tournament!